Kimberly Cargill currently sits on Texas Death Row awaiting her execution date. Join me for this episode to find out what led Kimberly to murder an innocent and special needs woman by the name of Cherry Walker. This episode was written and researched by Suzanne St. John of the In God They Trusted Podcast and the 911 Moms Podcast. Check the shows out wherever you listen! 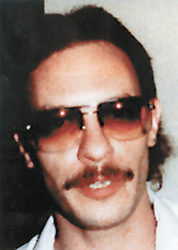 Methamphetamine made its way onto the drug scene in the early 1990’s. This drug is just as easy as it is dangerous to make. One man, Dustin Honken, would become a minor drug kingpin in Iowa by using his uncanny chemistry knowledge to make a potent product that addicts craved. His empire ran smooth until he was arrested for trafficking and his dealers turned on him. Dustin and his girlfriend Angela Johnson, would have their revenge. (IAMAS101)MASON CITY IOWA- FILE- Angela Johnson, Dustin Honken’s former girlfriend, is charged with assisting in the murders of Gregory Nicholson, his girlfriend Lori Duncan, her two daughters Kandace, and Amber, and also Terry DeGeus. All 5 disappeared in 1993. 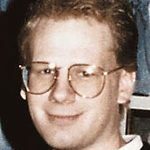 (IAMAS102)MASON CITY IOWA- FILE- Gregory Nicholson was scheduled to testify against Dustin Honken on federal drug charges prior to his disapearance in 1993. The remains of Gregory Nicholson, his girlfriend Lori Duncan, her two daughters Kandace, and Amber, were found this week west of Mason City. 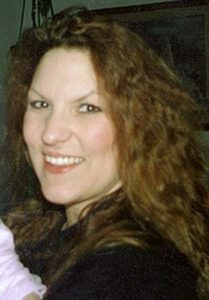 (IAMAS104)MASON CITY IOWA- FILE-Lori Duncan was one of 5 people who disappeared in 1993.